The information presented on this page was originally released on March 16, 2006. It may not be outdated, but please search our site for more current information. If you plan to quote or reference this information in a publication, please check with the Extension specialist or author before proceeding. Meetings were held at the school, and it required dedicated membership in the late 1920s. “I had to walk about four miles to get to the meetings. We carried our exhibits to the school building rain or shine,” she said. One-room schools did not afford many opportunities for classes such as home economics or clothing construction. Her exhibit interests included vegetables, canned goods, clothing and leadership, the latter earning her first out-of-state trip and a train ride to the 1933 National 4-H Conference in Chicago. “It was the first time leadership was offered and I represented Mississippi,” said Griffin, who will turn 90 in October. Pretty heady stuff for a Newton High School junior, she said, as she unfolded a 70+ year-old 4-H beanie and looked over a group photograph of the event. Griffin continued her education at the former Mississippi State College for Women, graduating in 1938 with a degree in commercial work. She met her husband, Paul Griffin of Tippah County, while working in Fayette. They moved to Tippah County in 1941. Choosing to remain involved in 4-H, Griffin imparted knowledge as a 4-H leader during her 11 years as a high school teacher in locations such as Palmer, Shady Grove and Jumpertown. 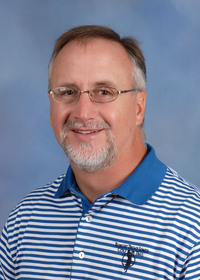 Tim Needham, Tippah County director for the Mississippi State University Extension Service, said Griffin has set an example as a volunteer and leader in the county. Griffin is quick to give credit for her gardening enthusiasm. “I love to garden. I really attribute our Extension office and their programs and leadership in my education for working with plants,” she said. Griffin said the Master Gardener program is ideal for both the novice and the more experienced. “I've learned a lot -- I've never been to any kind of meeting that I've not learned something,” she said. Perhaps her favorite part is the camaraderie among plant lovers. “The fellowship and inspiration of being with other people and then sometimes just knowing what you're already doing is OK is important. And then you always learn something new when you go that you didn't already know,” she said. While her front yard is landscaped beautifully with flowerbeds filled with perennials, the massive side lot is filled with 24 raised beds. Her arsenal: A five-prong pitchfork, a shovel and a hoe. Griffin encourages the use of raised beds, self-sufficiency, and avoiding additives and preservatives. “If I want to plant butterbeans in one bed, I can go in there and plant my butterbeans. I put up all my vegetables; I don't have to buy any,” she said. She also enjoys other Master Gardener experiences, including a kudzu basketweaving course. “I made so many mistakes that my daughter said we would call this the ‘forgiving basket',” she said. When not outside gardening, Griffin enjoys her solar plant room built more than 30 years ago. Cuttings, tropical houseplants and spring tomato plants are thriving in the space adjacent to the family den. 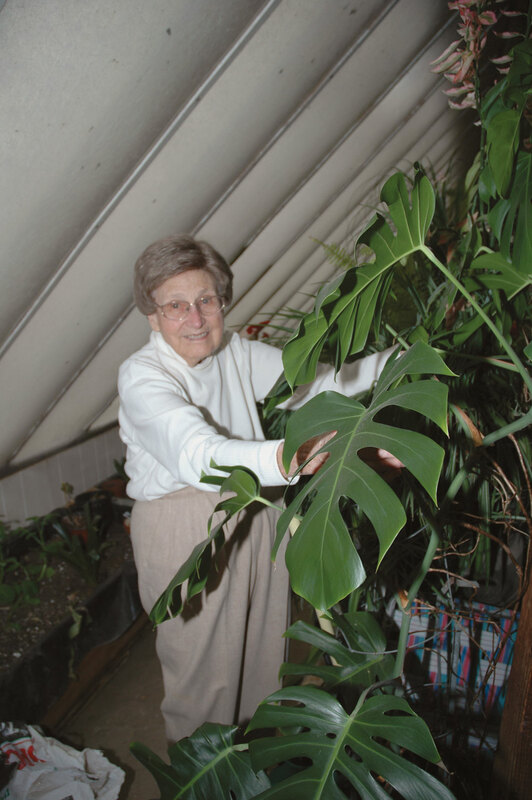 For this senior adult, gardening is enjoyment. She does not let the labor overwhelm her.